This full-day event will kick start with a round-table discussion with 4 esteemed pioneer designers from the '70s, '80s and '90s who will share stories of Singapore's design scene during those periods and also their experiences in setting up their own studios. The discussion will be moderated by Graham Perkins who will be joined by Justin Zhuang, the author of the INDEPENDENCE book. For the second half of the conference, four founders of graphic design studios in Singapore will take to the stage to present their story of independence. These four studios were chosen by the graphic design community here who voted online for their choice of speakers in February. At the conference, The Design Society will also launch the first-ever book that documents the historical development and evolution of Singapore's graphic design industry. 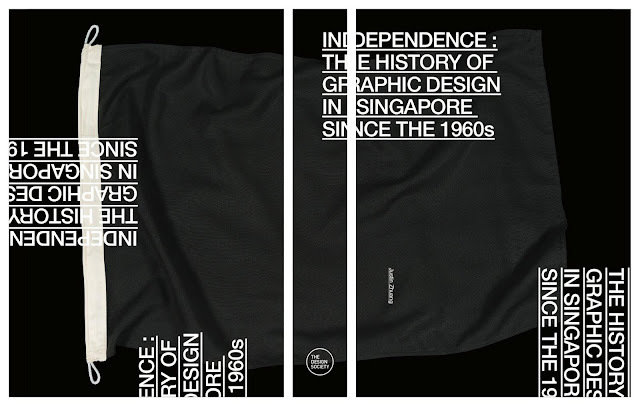 INDEPENDENCE: The history of graphic design in Singapore since the 1960s presents the history of the country's independent graphic design studios and a selection of the iconic work created by them over the last fifty years.